The Hollow Cupboards: One Year Blogoversary Giveaway! A year ago today I decided to throw myself into the world of blogging. It's hard to believe it's been that long, but it has and I'm here to celebrate my blogoversary with you by giving away an awesome box of Young Adult books! Unfortunately, because of the cost, I can only afford shipping to the United States. I know I have quite a few of international followers, therefore I'm planning on holding another international giveaway very soon! I'm not going to tell you which books are in the box (unless you really hate surprises and threaten me to tell you), but I can say that they're all there because I already have copies of those books. I'd say that the box will be filled with 9 or 10 books that were all released in 2011, except for one (AWESOME) 2012 ARC. Good luck and thanks for sticking with me for all these months! my birthday is 3 days before yours! Yay! :D That'll be easy to remember, then! Just found your blog. How nice of you to have the giveaway. Congratulations on your year of blogging! My birthday is the day before yours, but I've had a lot more of them! Greeeeaaaat giveaway! Fun! Thanks for the opportunity! Happy blogoversary and upcoming birthday! Happy blogoversary! I love surprises!! WE HAVE THE SAME B-DAY!!!!!! I hope you have a wonderful birthday as well! :D Thanks for stopping by and good luck in the giveaway! Happy early Birthday and thanks again for hosting this giveaway!! Happy Blogoversary and I hope you have a great birthday! 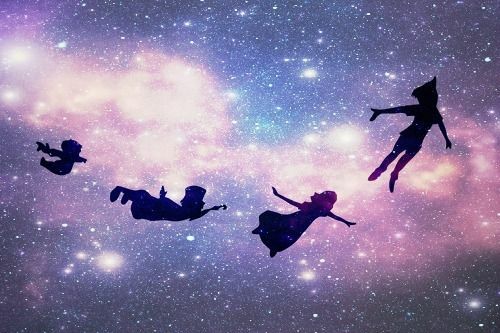 I have to agree, the Peter Pan pic is pretty sweet. Thanks for the chance to win! Congratulations on your Blogoversary! Thanks for this generous giveaway and the chance to win! Happy Blogoversary and birthday! thanks for the giveaway! Happy Blogoversary! Thank you so much for the giveaway. I want a surprise box of YA books! How fun would that be to get in the mail. Happy Blogoversary and cheers to another year! Happy Blogoversary and birthday! Thanks for the giveaway opportunity. I'm a book lady, a cat lady, and collector of cameras. I still don't know the answer to the question "what do you want to be when you grow up?" but I do know that somehow, I'll make it. Spellbound Trilogy Tour: Guest Post and Giveaway! The Hollow Cupboards. Powered by Blogger.